Everyone has that favorite teacher they’ll remember forever. For me, it was Mrs. Snowman. Yes, that was her name, and yes, we all doubted that was her real name during the first few weeks of class. But it wasn’t just her name that made her memorable. It was her sweet demeanor and encouraging words for a sea of hyper first graders. As for teacher Leigha Bishop, her actions will likely make her just as memorable for her own students. Thanks to Twitter, we all witnessed the power of this teacher’s kind gesture, and it all started with hair. Now more than ever, we understand the importance of validating black hair — and that’s why there’s such pushback when celebs like Kim Kardashian credit white women for traditional black braids. 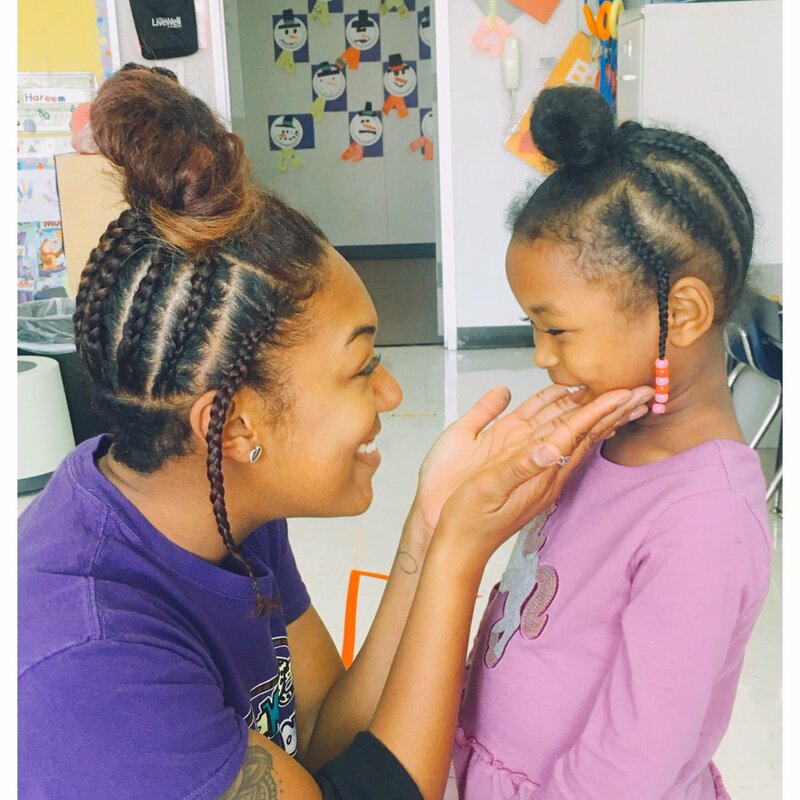 Bishop, an elementary school teacher, recently complimented her student’s braided updo and topknot. But instead of accepting the compliment, her student doubted if Ms. Bishop genuinely liked her hair and said “sure” before walking away. That’s when Bishop sprung into action and decided to not just tell her student she loved her hair. Instead, she wanted to show her. That night, Bishop decided to recreate her student’s hairstyle. "I went home and got to work on my hair! With my student's hair being similar to mine, I thought what better way to show her how she inspired me to feel beautiful [than] with that same braided updo?" 2018 has just started, but let’s make Ms. Bishop teacher of the year. Right. Now. “This small gesture of copying a hairstyle also shows that students have the ability to inspire teachers,” Ms. Bishop continued. Judging by her student’s gorgeous smile, we’re assuming she now believes that her teacher (and all of us!) love her hair. Bishop’s Twitter bio reads, “just an old soul changing the world, one little life at a time.” We could all use a teacher (and friend) like her.